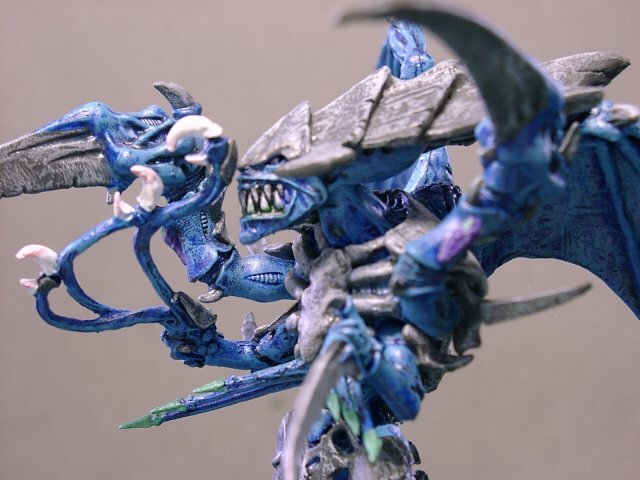 My friend Sean has been working diligently on his Tyranid army, and finished them just in time for the both of us to enter the Dallas GT. While I was over at his place the other day, I took some pictures with his digital camera. As long as we had the setup going, I thought, why not take some pictures of his bugs, too? 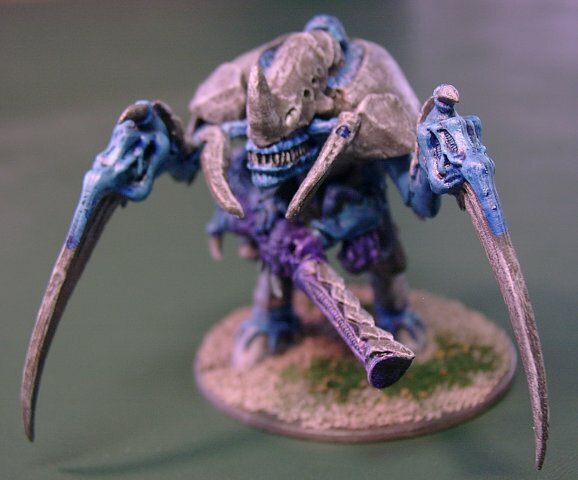 Sean's evil-looking Hive Tyrant (56 K) practically salivates malevolence. 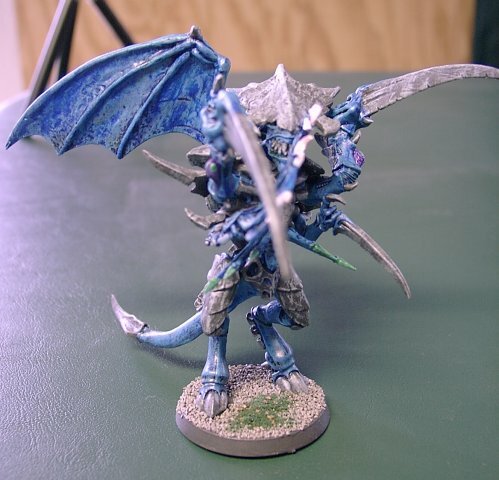 As you can see from the full-body shot (49 K), he is modeled with wings, allowing him to zip across the battlefield at 12" per turn. 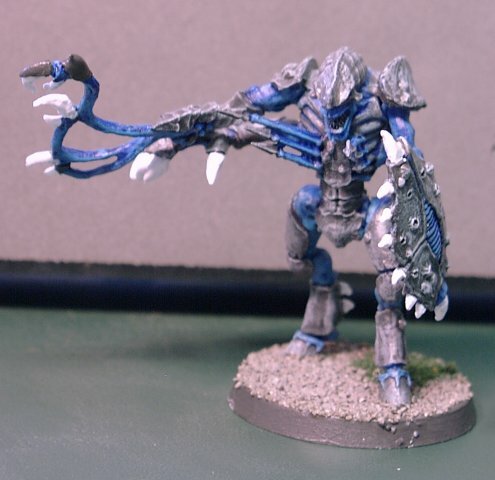 Somebody set up us the "Tyranids" page on 26 October 2001.